The apartment is 38 square meters, comfortable, functional and comfortable. 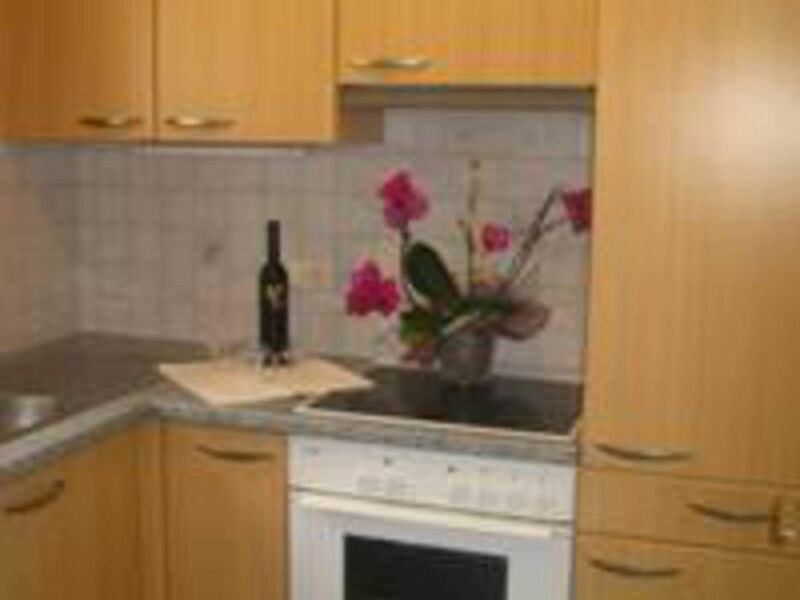 Small, self-contained kitchen with ceramic hob, oven, dishwasher, fridge freezer, coffee machine, kettle, dishes. Living room with pull-out couch and separate dining area, double bedroom, shower / WC and balcony to the west side with afternoon sun and stunning views of the surrounding mountains. Arrive and feel good! Our Chalet Sonnblick, the mountain and living experience for connoisseurs, is located in a very quiet and beautiful location on the sunny side of the Defereggental in the Nationalparkgemeinde St. Jakob at 1400 m above sea level. Ski bus stop, cross country ski track and ski center St. Jakob are within walking distance. The Defereggental valley, one of the most beautiful valleys in Tyrol, has retained its originality and beauty to this day and always has something to offer with its impressive mountain scenery - whatever the season!Our chalet, nestled in meadows and at the edge of the forest, is the ideal holiday destination for nature-loving hikers and mountaineers and the best starting point for any kind of summer and winter activity. Our apartments are located in 1. Floor and are between 38 and 42 square meters in size, comfortable, functional and comfortable - just to feel good!Bed linen, table linen, hand u. We provide tea towels and are included in the price. The baker brings daily except Sundays u. Holiday fresh pastries to the house. If you feel like spending the most valuable time of the year at Chalet Sonnblick, contact us today!